Pagan rulers and Emperors.....Saints and Playwrites.....Artists and Resistance Fighters......they all have their respective place in history, here in Bohemia. Learn more about the famous and infamous men and women of this Central European region. 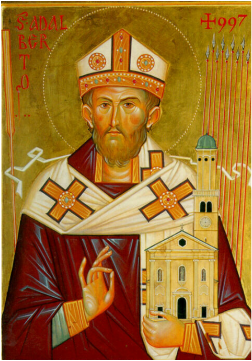 St. Adalbert of Prague was a 10th century Benedictine monk, Bishop, and martyr. His influence on converting the Central European people to Christianity made him a true missionary of the Word. St. Adalbert became the Patron Saint of Poland and Hungary along his journey from Prague to Rome and throughout Central Europe. His death at the hands of Prussian pagans in 997 A.D. was a result from attempting to discourage pagans of their fears of evil spirits living in local oak trees. He was captured, stabbed and beheaded. His remains were later purchased by the Poles and rest, for the most part, in Poland and some say in Prague, Czech Republic. With the fall of the Austro-Hungarian Empire in 1918, the Allies recognized Masaryk as head of the Provisional Czechoslovak government, and on November 14, 1918, he was elected President of the Czechoslovak republic by the National Assembly in Prague. Masaryk was re-elected as president three times: in 1920, 1927, and 1934. Czech general, Hussite leader, and a follower of Jan Hus. His historical legend is difficult to hold close to one's heart. Known as a hero and as a villain, Zizka He was nicknamed "One-eyed Žižka." after losing an eye in battle. He fought in the Battle of Grunwald (July 15, 1410), where he defended Radzyń against the Teutonic Order. Later he played a prominent role in the civil wars in Bohemia during the reign of Wenceslas IV. Žižka's tactics were unorthodox and innovative. In addition to training and equipping his army according to their abilities, he used armored wagons armed with small cannons and muskets, presaging the tank of five hundred years later. He was also a master at using geography to full advantage as well as managing the discipline of his troops. Žižka is considered to be among the greatest military leaders and innovators of all time and is one of six commanders in history who never lost a battle. His likeness sits atop the largest horse statue in Europe in Vitkov Hill in Prague. "Our Teacher, Rabbi Loew" (or in Hebrew) "Moreinu ha-Rav Loew," was an important Talmudic scholar, Jewish mystic, and philosopher who served as a leading rabbi in the city of Prague in Bohemia. A much beloved Rabbi of Prague, he protected his community from persecution and provided council to Emperor Rudolph II. Known for bringing back Jewish tradition to his community in Prague, Rabbi Loew used his skill in philosophy and Jewish mysticism to impress the Emperor and push for certain agreements between the crown and the Jews of Prague. The legend of the Golem is best associated with Rabbi Loew as a tool to protect the Jews from pogram purges. This man made of clay was said to be created by the Rabbi through the word of God and later transformed back to clay through the same means. Rabbi Loew is buried at the Old Jewish Cemetery, Prague in Josefov, where his grave and intact tombstone can still be visited. Saint Agnes was a medieval Bohemian princess who opted for a life of charity, mortification of the flesh and piety over a life of luxury and comfort. Although she was venerated soon after her death, Agnes was not beatified or canonized for over 700 years. Agnes was the daughter of King Ottokar I of Bohemia, making her a descendant of Saint Ludmila and Saint Wenceslaus, patron saints of Bohemia. She gave up everything for a life of poverty and dedicated her life to the poor. Wenceslas II. was the only son of King Ottokar II of Bohemia and second to the last Přemyslid king to rule Bohemia. In 1298, silver was discovered at Kutná Hora in Central Bohemia. ﻿Wenceslaus took control of the mine by making silver production a royal monopoly and issued the Prague groschen, which became the most popular of the early coins. Wenceslaus II died in 1305, at the age of 34, most likely of tuberculosis. He was succeeded by his son, Václav III., the last of the Přemyslid kings in the male line. Emperor Rudolph II was one of the most influential 16th century rulers in Europe. His reign ushered in an era of scientific and artistic patronage and discovery, religious tolerance, and an expansion of Bohemian influence across all of Europe. 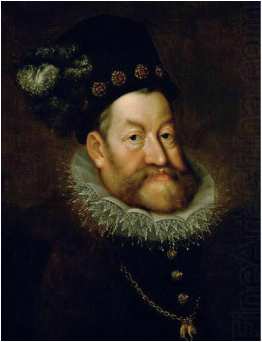 This Habsburg monarch had a dark side as well. His internal battles with depression and mania created problems in his Imperial leadership and led to concerns of continual Hapsburg rule and abdication. The later years of his rule would be marked with bouts of madness and detachment. Nevertheless, Rudolph II and his love affair with Prague and Bohemia changed the course of Europe during a difficult time of religious strife and political upheaval. Alphonse Mucha was a Czech Art Nouveau painter and decorative artist. Born in Moravia. Mucha had a distinctive style seen in many of his paintings, illustrations, and advertisements. 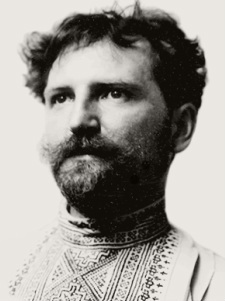 His fame spanned the Atlantic and Mucha saw critical success and sponsorship in the United States but stayed true to his vision of producing a visual record of the Slavic people. The Slav Epic was one of his crowning achievements that took decades to complete. The Slav Epic detailed the myth and historical vision of the Czech, Moravian, Polish, and Russian peoples of Europe.